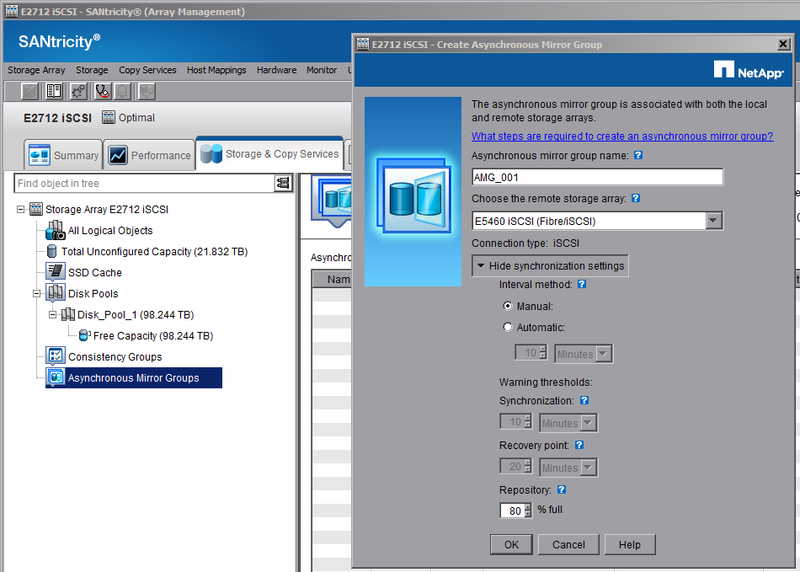 iSCSI has been configured via the Setup Tab in SANtricity (Array Management) for both arrays. 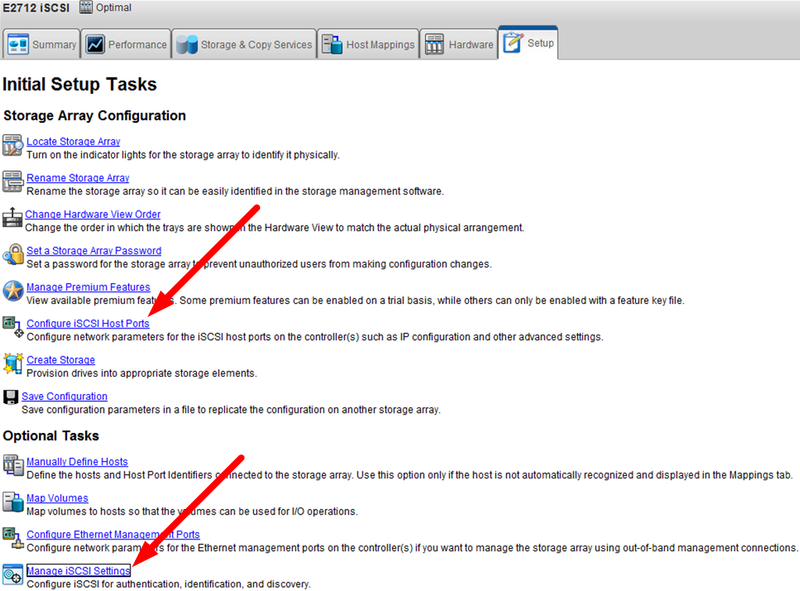 See Configure iSCSI Host Ports, and Manage iSCSI Settings. 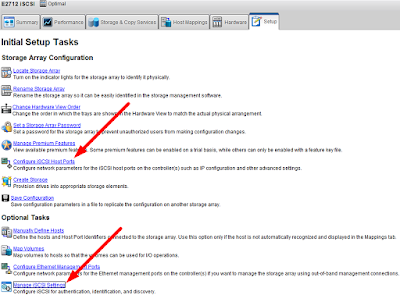 Note: The iSCSI network is used for mirroring. This is simple. In array manager for array 1, right-click Asynchronous Mirror Groups under the Storage & Copy Services tab, select Create…, provide an Asynchronous mirror group name, and choose the correct remote storage array. 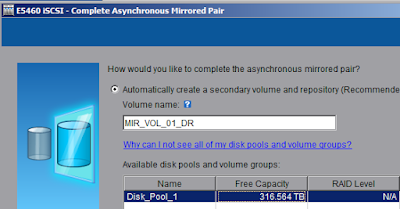 If not done so already, create a volume in the disk pool that we can mirror. Note 1: Volumes can be thin-provisioned. Volume capacity can be increased on the fly. Note 2: The “Create Mirrored Pair” wizard (next) would also allow creating a new volume. Click OK to the warning to complete the mirrored pair on the remote array (which we do next). We’ll let the wizard automatically create a secondary volume and repository. Note: These are not hard enforced. Your performance may suffer if you exceed these maximums.